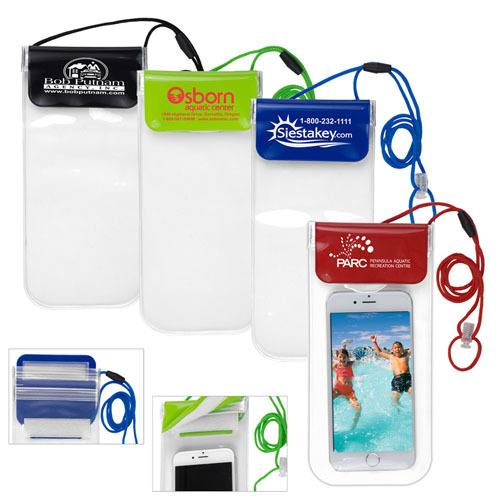 Weatherproof and Waterproof.Great for the beach, the pool, river, lakes, and other outdoor water activities. Features double fastener closure strips AND thick hook and loop fastener strip to ensure a complete waterproof environment. Phone touch screen can be used even when inside the clear case. Also use as a storage container for other items like wallet, keys, money, credit cards, and ID in wet or messy environments. Fits cell phones as large as iPhone 6+ and Galaxy S6+ edge. 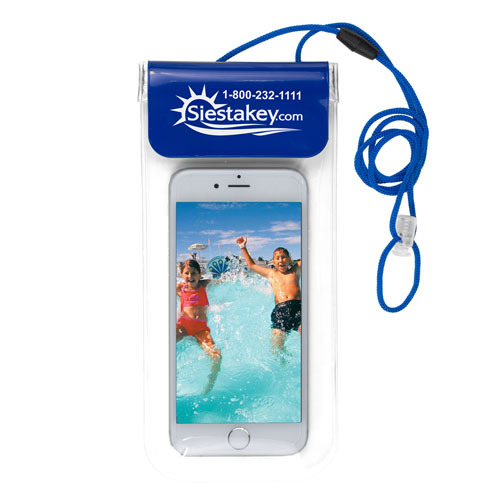 For a fun summer promo, try the All Purpose Waterproof Carrying Case! 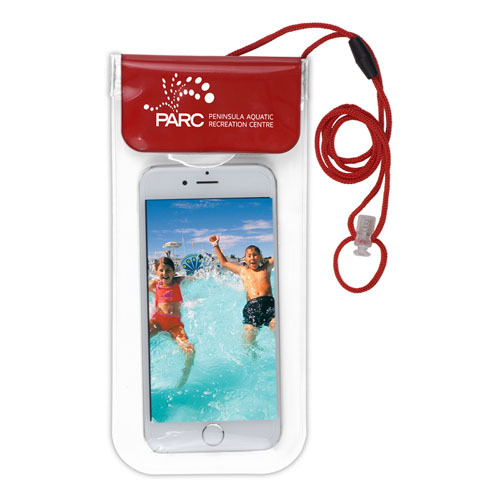 Weatherproof and waterproof, it's great for the beach, pool, river, lake and other outdoor water activities. It features double fastener closure strips and a thick hook and loop fastener strip to ensure a complete waterproof environment. 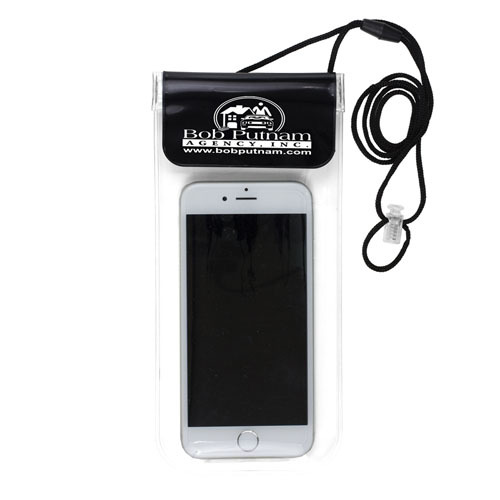 A cellphone's touch screen can be used even when inside the clear case. It fits phones as large as iPhone 6+ and Galaxy S6+ Edge. 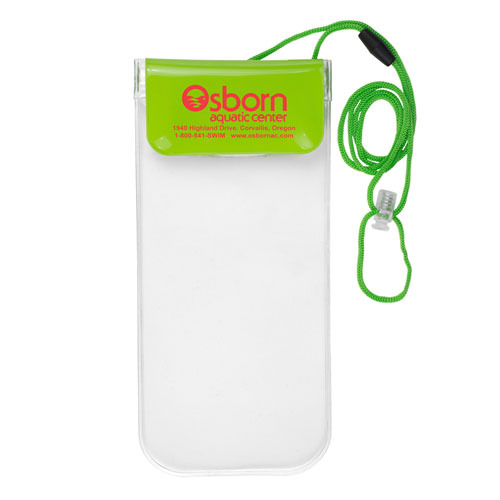 It keeps wallets, keys, money, credit cards and IDs stored safely in wet or messy environments as well. Your clients won't be able to contain their excitement! Bulk / 17 lbs / 250 pcs. / 13" L x 12" W x 12" Hbox.